I've dreamed of having a white leather couch, but with two kids and two dogs, it probably wouldn't be my smartest move. I don't want the 1980's Lazy-boy style (like my friend Hillary used to have) but rather a sleek, mid-century modern beauty. But since it is not in my cards at the present moment, why not go for the second best option, a new purse. 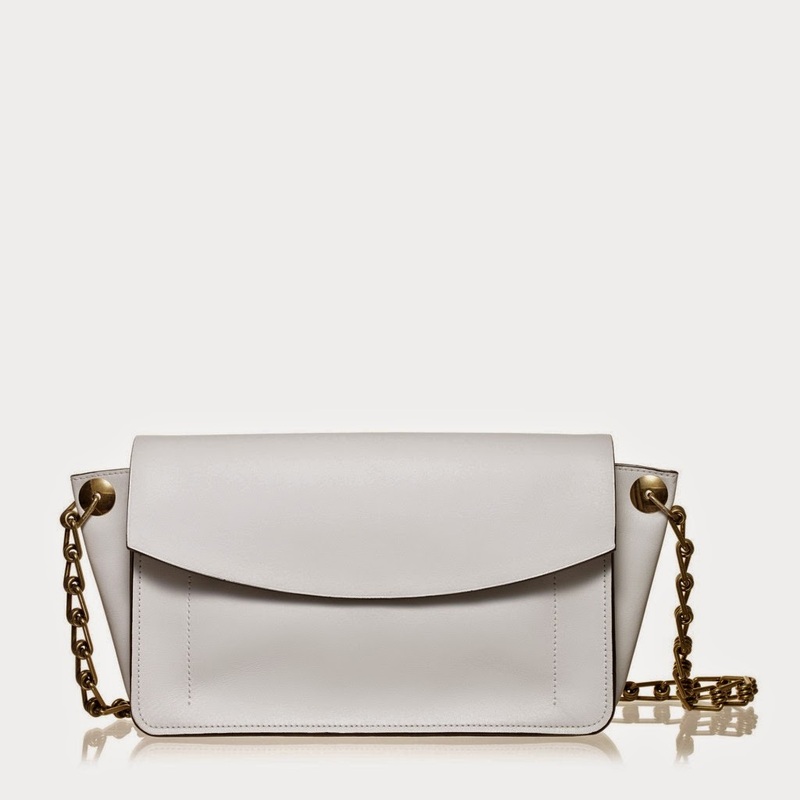 With summer just around the corner a white handbag seems like a totally reasonable choice, especially when it is on sale and then another 60% off. Reed Krakoff is having a clearance sale and then you get to take an additional 60% off. This white beauty, originally $2190 can be yours for about $350, which isn't too bad. In fact, it is downright reasonable. In addition to this bag, you can find some great shoes, clothes and other handbags for ridiculous prices as well. Enjoy.